Over the last few years Yakima MAker Space has hosted a cornucopia of talented artist in our gallery. Below you fine information on past events and Shows. The Yakima Maker Space Gallery is proud to host Debbie Sundlee and Jan Crocker in our gallery for what is surely going to be a wonderful art showcase and reception. Central Washington is filled with warm, rich earth colors, dramatic texture, open space and enormous skies. I take my cues from its diverse landscape of basalt rock, rich soil, mountains, forests, and water. My sculptural ceramic pieces are both practical in the sense of being classically proportioned containers, and surfaces on which I “paint”. Smoke firing techniques are used to create strong, but controlled, colors spontaneously. The serendipitous lick of flame and smoke from natural burning materials creates unique flashes on the surface of the clay. On some, I create painted images with natural colored clays and oxides contrasting dark and light values. The geometric patterning is created through “resist” techniques that keep the smoke from adhering to the clay. An ancient fermentation recipe called “obvara” from Eastern Europe is used to create a unique surface resulting from the combination of heat and yeast. The “basket” forms reflect the original collecting containers woven from sweet grass and cedar bark favored by native Pacific Northwest women. Each piece is an individual creation with multiple firings - unrepeatable, unique and always surprising. The results are earthy, harmonious and speak of a place much loved as “home”. In the late 70’s in California a friend and I built a potters wheel from a kit and began potting. We had such fun that when my husband and I moved to Yakima in the 80’s I brought the wheel along. 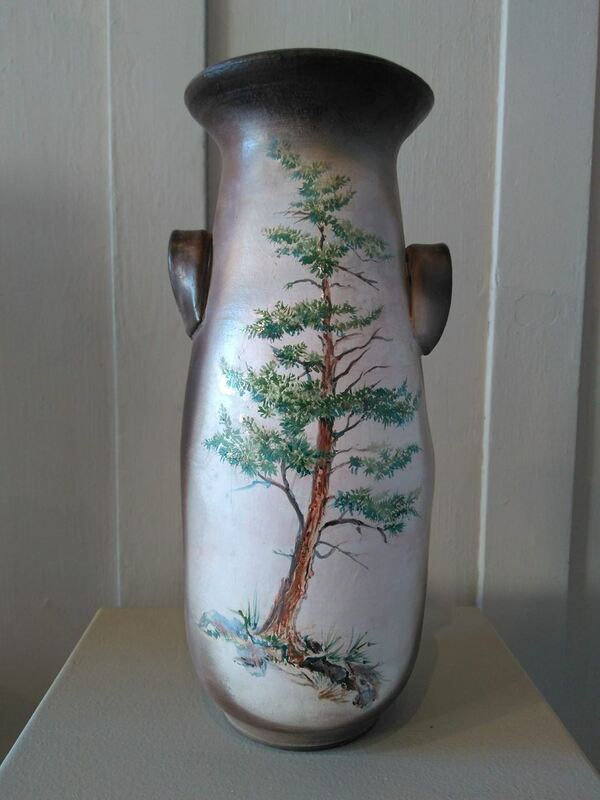 I started a refresher course at the community college and one day, while looking through our instructor’s collection of books, I came across one by Jane Perryman called Smoke Fired Pottery. I immediately fell in love with these beautiful pots and have been using these non-glaze firing methods ever since. There are numerous ways to achieve these results and I’ve tried and experimented with all I can. New ideas and challenges are always cropping up. Sometimes I have spectacular results and of course others are not so good. One always learns from whatever happens. The lovely earthy tones and colors one can achieve are truly inspiring to me. So I continue on loving every part of the process…. mistakes and all. As a father, sculptor, designer, educator, and part time substitute teacher, Thomas Botkin has and will always be a collector of objects. three dimensional, emotional, conceptual, and psychological. Recently, this last December, Thomas installed the exhibition; ICONS, which was a visual inquiry of water in Central Washington. ICONS was a return to public installations after an intense period of parenting. The objects of this exhibition are markers, artifacts, detritus, and overall, insights to an engrossing period of a fathers life. LeAnne Ries' poetry has invariably rung true for Thomas so after meeting and reviewing each other’s recent work these artists and dear friends decided that a collective exhibition would commemorate and illustrate their familial experience. LeAnne has long loved words for their shape and sounds, their imagery and power. LeAnne’s poetry was recently included in WA 129, Poems Selected by Tod Marshall, State Poet Laureate, 2016-2018. LeAnne is the author of The Calling and more recently, At Sea. The Calling traces the author’s return home to Yakima and family, while At Sea unmoors from its geographic foundations and sets sail for the turbulent unmapped waters of self-searching and discovery. Tom Botkin and LeAnneRies have been family friends for over a decade. They met when their children were small. There were afternoon coffees to discuss the challenges and joys of parenthood, toy storage, art projects, music lessons, and books and generally, how to maneuver through the kid years. It seemed for a very long time, the children were small. When their kids were teenagers, life sped up and their friendship moved to a back burner. Recently, they caught up to one another and both were astounded those early years had passed, leaving memories, probably fragmented and imperfect. Here, they decided to create an installation – Tom with his art and LeAnne with her words – to commemorate the remains of time we hold onto as we age. Monika Lemmon is an artist from Selah, WA. She received her BFA in Metalsmithing from Central Washington University and her MFA in Studio Art from the University of Idaho. 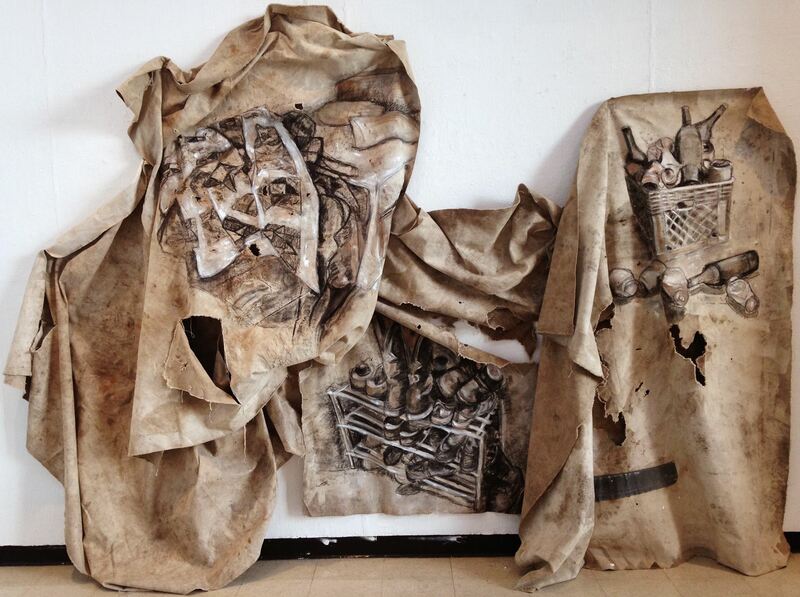 Currently she resides in Denver, CO and instructs Drawing at Metropolitan State University. Her creative background consists of a wide variety of media and she is currently exploring the human anatomy and landscape in both two and three-dimensional disciplines. Most of her work alludes to her interest in causality, perception of lived experience, and fascination with the natural world. The physical body is our vehicle for lived experience. This vessel materially binds us to the natural world and the causal chain that determines our virtue and depravity. I emphasize the complex nature of our connected existence through intricate deconstruction of the human form. By dissolving the figure into visceral remnants and merging these with matrixes of natural and artificial constructions, I suggest the vulnerable and subjugated reality of life as a material being. Please join YMS in celebrating the beauty and heritage of fiber arts with a fabulous exhibition showcasing many different styles and techniques, hosted in our 800 sq ft. gallery, located in the heart of downtown Yakima. Artists Include: Barbara Colbert, Debbie Sundlee, Becky Drew, Renee Miles, Deborah R. Houtz, Robin Rankin Coffin, Deborah Ann, Ginger Toomey, Katie Buckley, Lynda Otey, Pam Joslin, Vicky Nickelson and Jan Crocker. Selected artists will be proudly displayed for the entire month of June with public hours 10 A.M. To 2 P.M. Every Saturday. Everyone is invited to meet with the artists at our public reception scheduled for June 15th from 6 P.M. To 9 P.M. In addition YMS hosts a fiber art group every Thursday night from 6 to 8 PM. If you are exploring the wonderful world of fiber arts and have questions about a stitching, or how to hand spin that alpaca hair you been collecting. Come down to YMS where a friendly group of fiber artists can help answer your questions. Local sculptor Jack McEntire will present a showing of wood and rock sculpture at the Yakima Maker Space Gallery during the month of April. Carvings will cover the time frame from the beginning of his career 21 years ago. The exhibition will include his first 3-D carving, first relief carving, and a totem created just this year. 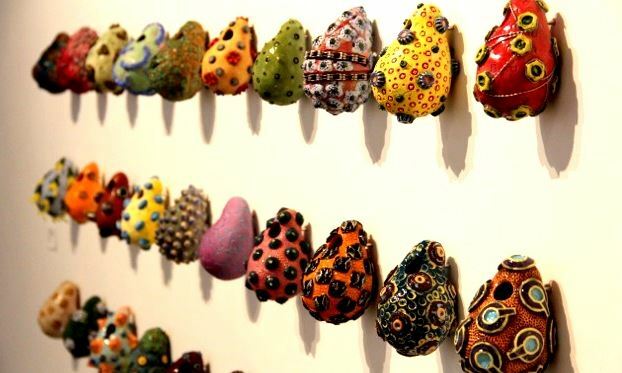 The bulk of the works will be derived from his personal collection of sculpture produced by artists from all over world. There will be works from artists in Italy, Australia, Zimbabwe, and all across North America. Most of the art will be made from wood, but there will also be several stone works presented. Jack has planned to host a series of sculpture workshops through the month of May. If one were to observe Jen Borst’s career over the last decade, it would seem that she has found more than 24 hours in the day: in addition to participation in many multi-artist shows across Washington State, “The View From Here” is Borst’s seventh solo exhibition as a painter, the shutter counter on her camera indicates that Jen takes about 30,000 photos a year in her life as a professional portrait photographer, somehow finding time for both visual mediums, while simultaneously gaining the attention of national press outlets for her work as a songwriter and vocalist in a folk group that plays more than 100 shows annually. This work ethic has allowed her to carve a meaningful place for herself in all three disciplines. “The View From Here,” is a collision of those artistic pursuits. 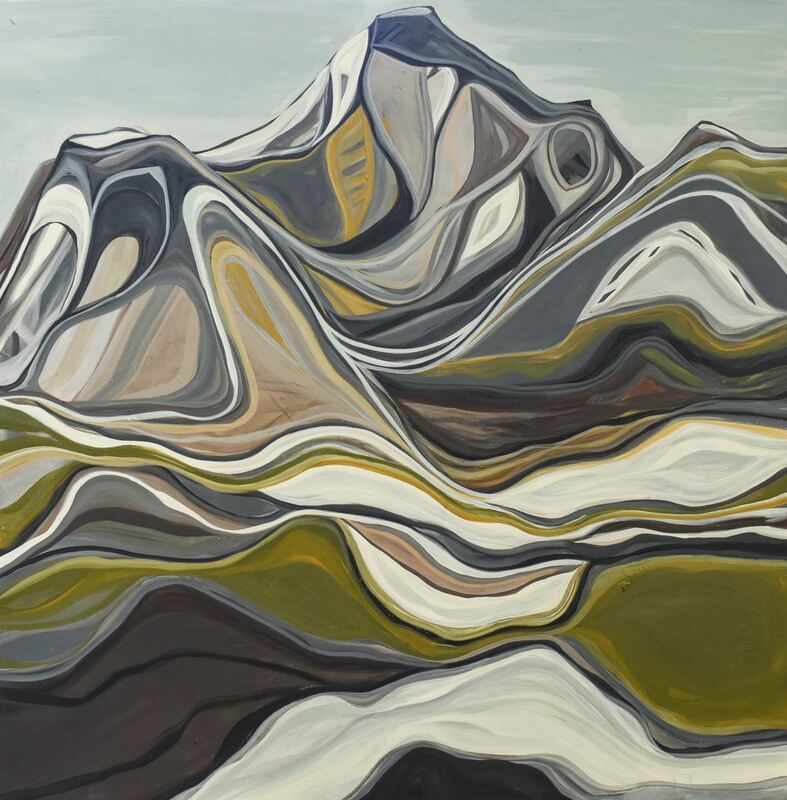 Artist statement: “I’ve been incredibly fortunate to be able to see much of the U.S. in the last two years, mostly from a moving vehicle, but the enormity and beauty of the landscapes are staggering and inspiring, even at 70 MPH. Most of the the works in this show are of places I’ve been in the last year, and photographed from the van (or rental car). On my travels, I was first drawn to the elements that are consistent across many places, and later found myself becoming more fixated on the lines and textures that are absolutely unique to each. Looking back through the photos, I am absolutely amazed at the seemingly infinite variation to the way the land presents itself. Yakima Maker Space Gallery is proud to host artists: Rachel Dorn, Mindy Clark, Mary Dryburgh, Kelly McKight, Janice La Verne, Jack McEntire, Eunsil Kim, Delma Tayer, Deborah Ann, Carolyn Nelson and Barbara Leavitt for the Nasty Women exhibition. In an age of 24 hour news cycles and social media trolls it has become necessary to redefine negative terms to empower, rather than disenfranchise. As part of an ongoing discourse about the role of women in modern society this show seeks to engage the spectator into an expanded dialog. How did the Nasty Women movement get started? It was our reaction to the election, but also to a fundamental shift in the role of women in modern society. Being smart, professional, strong, independent women standing up for who we are and what we believe in should not label us in negative terms. Women who make a social and economic impact in society every day in extraordinary ways should not be defined as Nasty Women. Yet, Nasty Women is now part of the modern lexicon. This show is not a manifesto but rather seeks to encourage those who are distressed in our current clement to be joyful as “Nasty Women”! To celebrating being “Nasty Women”! To claim and redefine the term “Nasty Women” as a statement of empowerment. You are invited to join us in celebrating being a “Nasty Women”. 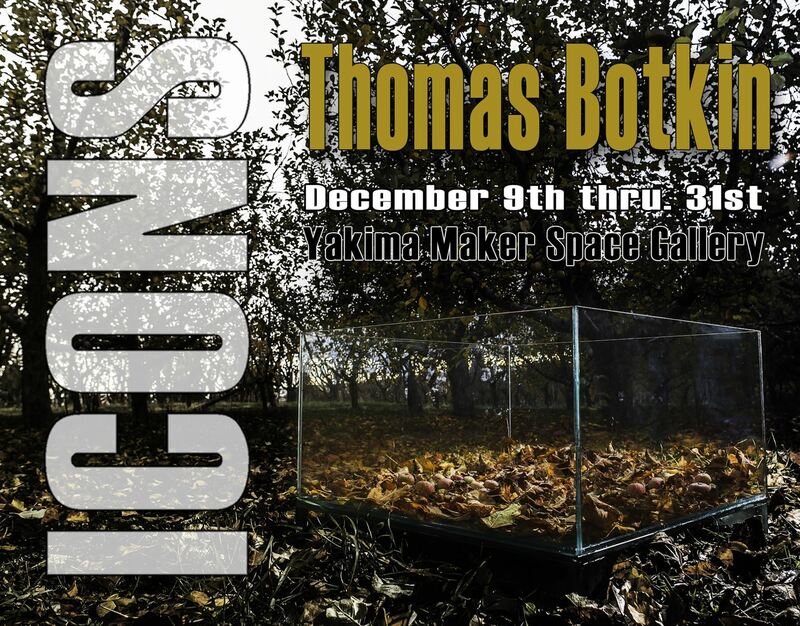 Opening Reception Jan. 20th - Doors open at 6:00 p.m. - shut by 9:00 p.m.
Public Gallery Hours: Saturday 10 a.m. - 2 p.m.
Yakima Maker Space is pleased to present local Artist, Sculptor, and Educator Thomas Botkin. 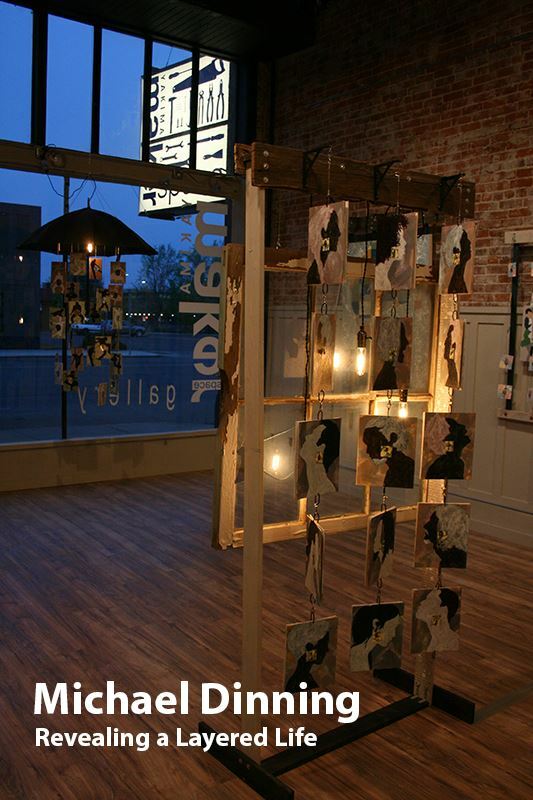 Mr. Botkin will be showing his large-scale installation work “ICONS” through the month of December. ICONS is a reflection on the primary industries of the valley and their dependent relationships to water and landscapes. Through his aesthetic lens, the artist frames the foundation where the spectator is encouraged to reflect on the abundance of Washington’s Central Valley and how the distribution of water shapes the very environment where we live, love and work. Please join us for what is sure to be a discerning night of wine, art, and cogitation on the abundance of the Yakima Valley. ICONS will be on display December 9th through December 31st with an opening reception December 9th. 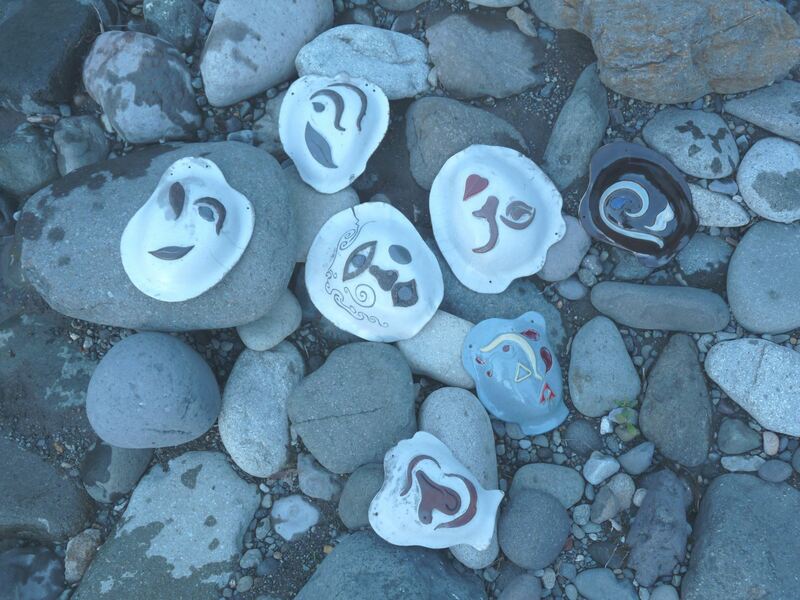 Yakima Maker Space Gallery is happy to present Amanda Ontiveros in our Gallery for the Month of November. Amanda began drawing as a teenager, and painting in 2012 while attending Yakima Valley Community College. She is currently earning her BFA at Central Washington University, although she is already an accomplished artist having multiple exhibitions in venues such as; The Larson Gallery, Seasons Performance Hall, Yakima Maker Space Gallery, The Oak Hollow Gallery, and the Boxx Gallery. On top of being a artist she is a gifted instructor and is currently teaching painting and ceramic hand building classes at Yakima Maker Space. 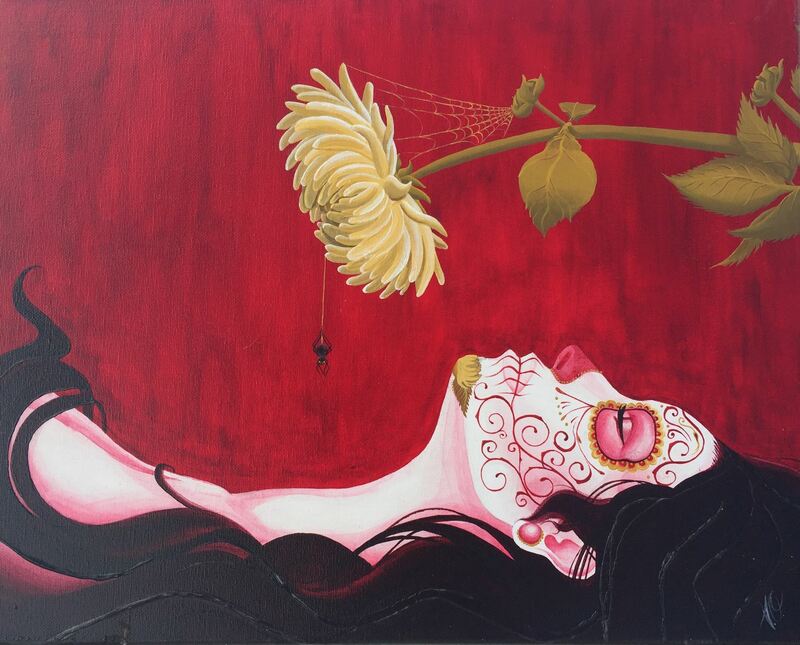 Please join us for a special Dia de los Muertos artist reception November 2nd. Amanda artwork will be on display for the whole month of November. 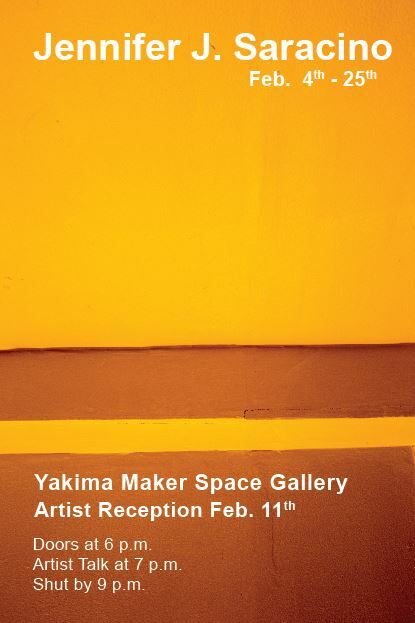 Yakima Maker Space is pleased to present artist Tim Hull. Mr. Hull was born and raised in Yakima, and grew up enjoying outdoor adventures with his family: Skiing, camping, hiking and hunting. 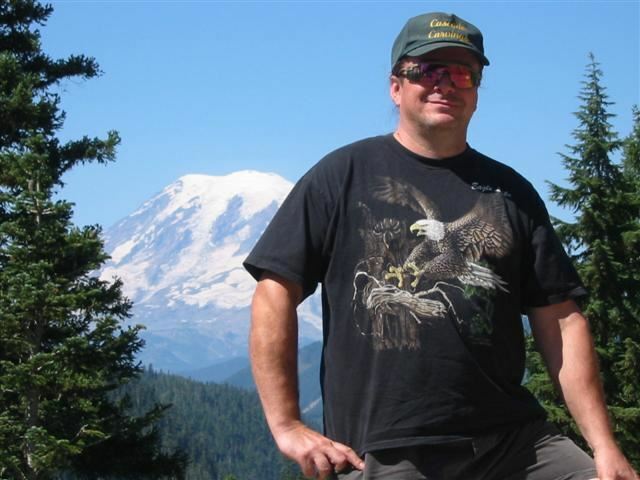 Tim developed a love for the Pacific Northwest and especially the Yakima River watershed. He dreamed of cataloging the rich diversity of the individual valleys that make up the Yakima Valley. Tim started his photographic journey in high school with a small film camera borrowed from his Dad. Now digital technology has given him the tools to realize his dream. Tim lives in Yakima with his wife Shelly and works in Yakima’s vibrant fruit industry. “Leaves in the Stream” is a collection of images portraying the beauty, culture and people of the Yakima Valley. When I started my photographic journey of capturing the Valley, I wanted to show distinct tributaries like the Naches or the Teanaway rivers or Ahtanum Creek. I came to realize that my vision had to include not just places but people and the mosaic of life that makes the Valley what it is. After experiencing a creative moment along Satus Creek with real leaves flowing down a real current, I had my inspiration! I am a first generation immigrant Korean American woman ceramic artist and married. Also I have a dog her name is Hana. This is what I say about me to the world. This is what you say to me. 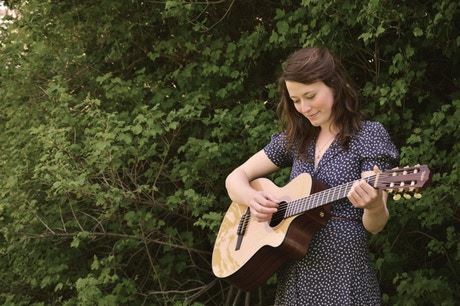 Claire Hitchins weaves a musical fabric that is at once spacious and intimate, enfolding and holding listeners in the warp and weft of her sincere, soulful folk melodies. Her homespun musical sensibility was fashioned among the Blue Ridge Mountains of Virginia, formed as much by the deciduous forests and swimming holes of her home state as by the traditional songs of the American South. Claire’s nuanced voice glimmers among currents of guitar and banjo, illuminating the depth and clarity of her generous songwriting. Artist Statement: I am a process artist and my work is very much a series of laborious, painstakingly pieced together self portraits concerned with identity, honesty, secrets, purpose, time and structure. 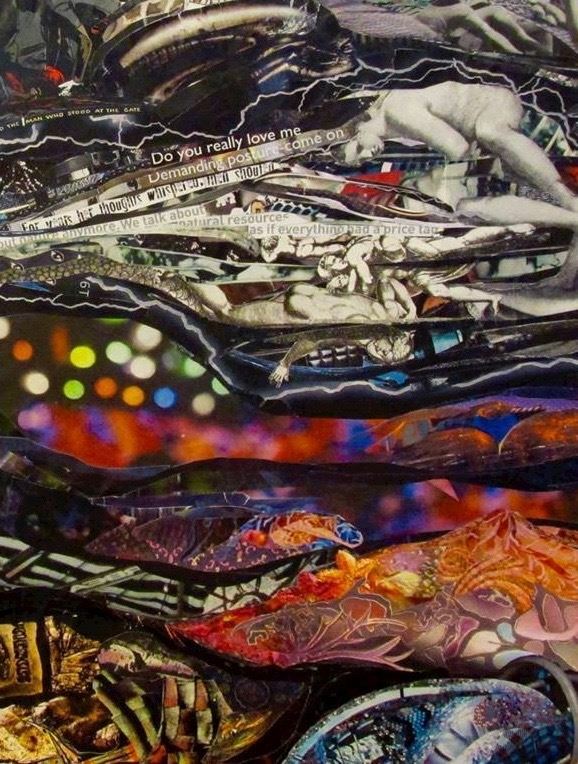 I only use recycled, found materials in my collages, which illustrates my desire to turn what is thrown away, and forgotten about, into something worth paying attention to. I believe in second chances and do-overs. I believe in honesty and secrecy. I believe we carry with us every experience we have ever had—-every encounter, comment, fantasy, desire, regret, longing—-layered and twisted and smashed together, shifting and pushing like geologic events responding to pressure over time. I begin a piece with a feeling, an idea I can see in my head as shifting, moving cells of color, words and texture. Once I have a sense of what I want to create, I assemble and organize stacks of torn pages I pulled from magazines and books. I am astounded by the infinite outcomes one of my pieces of art could possibly have. The idea that collage could change entirely if I had just used a different magazine or found that old art book three days earlier. I can’t replace a particular red or a particular texture from a torn image like an artist could buy more paint—this makes the process more sacred, complex, challenging and purposeful. I believe in irony— like how precious my materials are to me, considering they are all thrown away cast offs. Second chances, yet, never again. I like that. These bits and pieces of detritus are the means for finding my voice in this world. 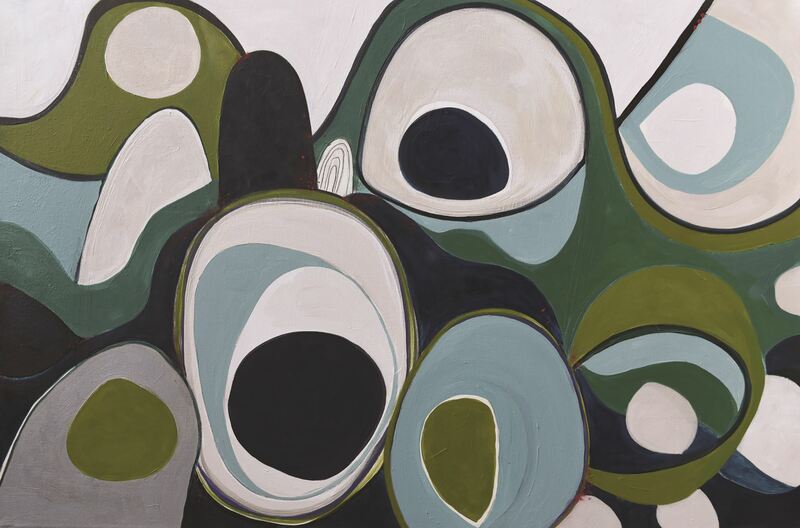 The paintings in the exhibition, “Plunge” demonstrate a range of meditations on land, both physical and social. Some of the ideas that carry themselves throughout the body of work include; the impact of climate change, structures of control, and tactics. The implications suggested by color and form is directly related to the concepts in the work. 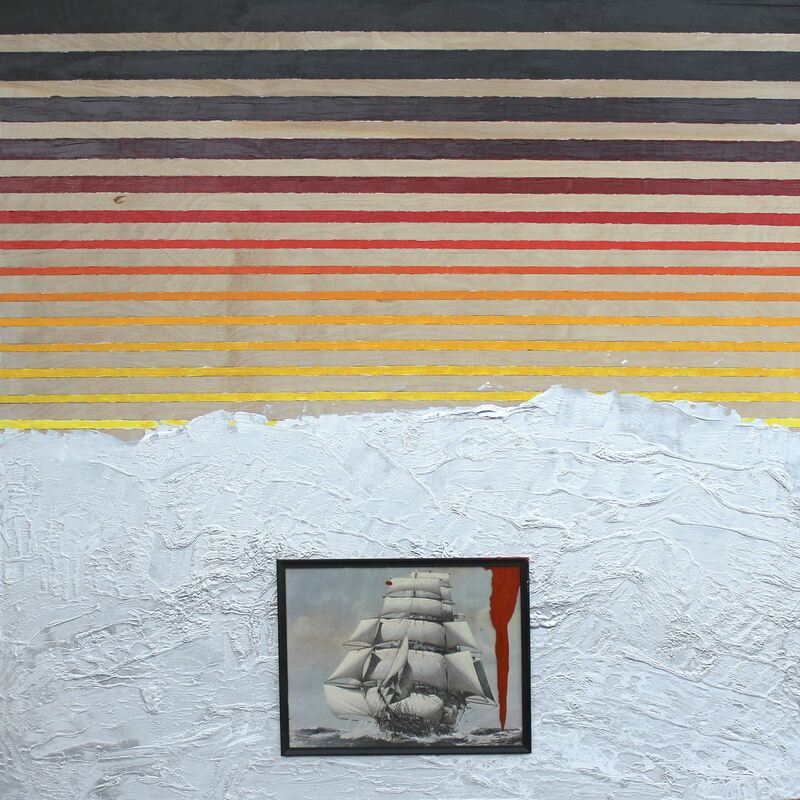 In the piece “Sea Swept”, bands of color reflect both linear perspective and warning codes, similar to the fire danger signs found along western roadsides. Notions of control and tactics are fused in paintings depicting floating horseshoes and buoys. The buoy’s grid formation references the children’s board game of battleship and the horseshoes signify another, similar, game of tactics and competition. Aluminum paint is used to suggest tactical measures as well as a landscape stripped bare of its’ resources. The exhibition title, “Plunge” refers to coastal terminology, more specific a type of breaking wave. These paintings suggest the moment of or after the waves have broke. Martin was raised in Montana where he received his BFA from the University of Montana and completed his MFA from The University of South Florida, Tampa. Martin is a dual-citizen of the United States and Canada and is also a recognized member of the Métis Federation in Manitoba, Canada. He currently lives with his family in Bellingham, Washington; where he teaches Art at Whatcom Community College. Posie Kalin is an artist and educator who received her MFA at Portland State and currently lives in Spokane, WA. Her work covers a broad spectrum of visual arts including video, music, photography, painting, installation and performance. Her work engages esoteric practices, ritual, visual divination and abstract poetics as strategies and directives for production. 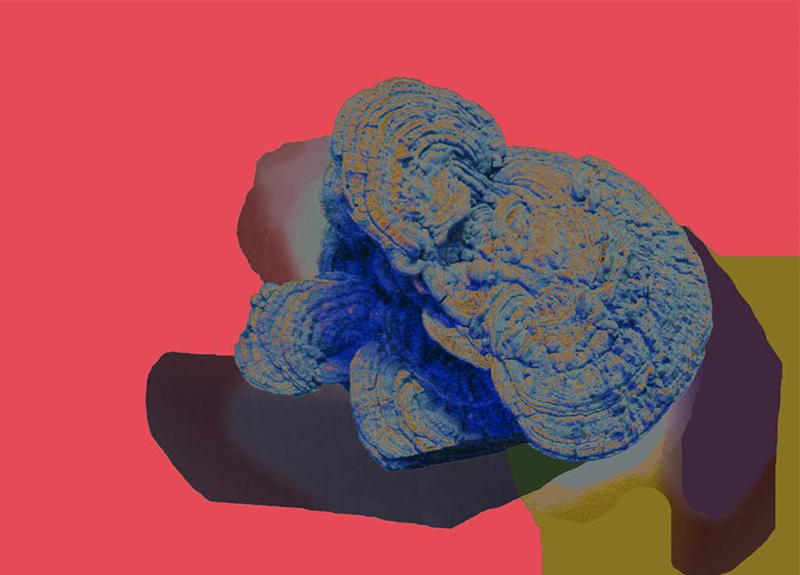 This new body of work on display at YMS Gallery investigates the Theosophical ideas of 'Thought Forms' a term derived around the turn of the 20th by Theosophists, Annie Besant and Mr. Leadbeater. The general idea is that thoughts, in and of themselves, carry on beyond our bodies with color and form. YMS is pleased to announce artist Michael Dinning from Spokane, Washington will be exhibiting his artwork in our Gallery for the month of May, with artist reception on the evening of May 6th. Mr. Dinning is a graduate of Washington State University, where he studied sculpture, lithography as well as art history. His work explores the interplay of essence and mystery through mixed media wall pieces and sculptural elements. Dinning gives depth and complexity to each work utilizing a variety of under-painting techniques. 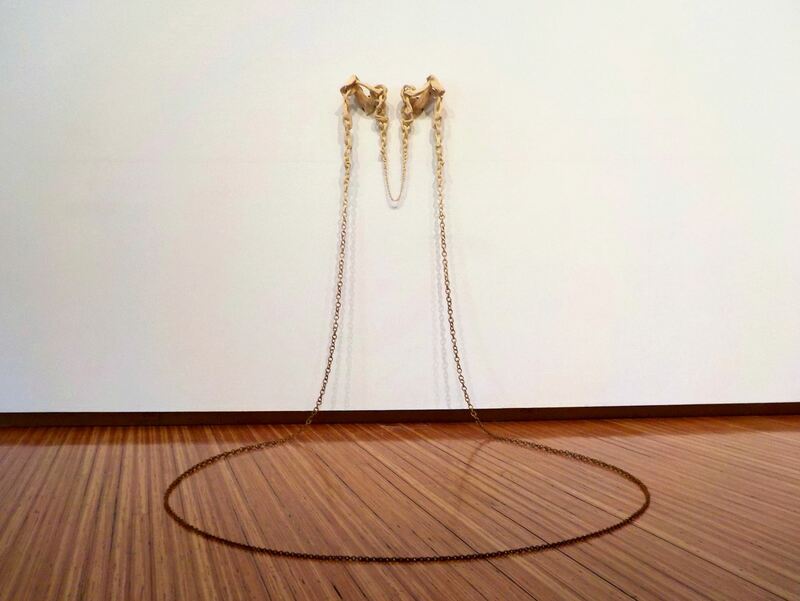 His work playfully reveals much of the hardware used in the construction of the work, thus conveying the creative process in a way only Michael can. By exposing things normally hidden during the creative process Dinning expands the artistic entanglement of the piece ultimately realizing as a coherent, complex and compelling artistic expression. 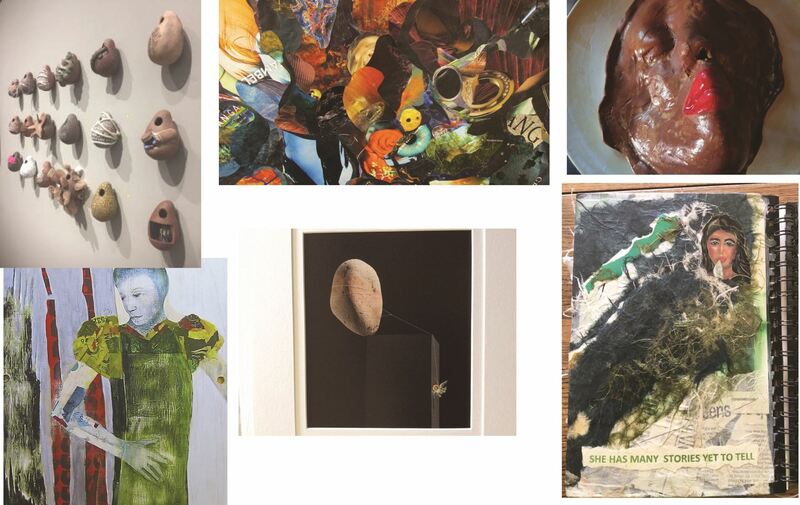 Yakima Maker Space Gallery is pleased to announce “Sculpting the Valley,” an exhibition of sculptures created by 18 artists who have strong connections to the Yakima area. This special exhibition will open to the public with a free reception on the evening of April 1, 2017, 6:00PM to 9:00PM. All are welcome. Organized by local artists Carolyn Nelson and Andy Behrle to connect with International Sculpture Day,April 24, this exhibition will highlight the extraordinary range of sculptural techniques, materials and styles of local artists. Running through Monday, April 24, “Sculpting the Valley,” is registered with the International Sculpture Center as part of the special events occurring in downtown Yakima and the Seasons Performance Hall to link Yakima arts and artists to an international audience. Organizers Nelson and Behrle envision this year’s exhibition and special events becoming an annual opportunity for Yakima area residents to celebrate the arts and for local artists to exhibit their sculptures and reach out to the global three-dimensional art community. The participating artists are: Deborah Ann, John Barany, Andy Behrle, Jan Crocker, Carole DeGrave, Rachel Dorn, Jane Fassel, Denali Granholm, Mike Hiler, Jeff Kent, Marty Lovins, Carolyn Nelson, Yvonne Pepin-Wakefield, Greg Pierce, Pamela Searcy, Tobie Stevens, Debbie Sundlee and Delma Tayer. Artwork included in the exhibit will represent a range of styles from figurative to abstract and the spectrum of sculptural art forms including assemblage, installation, saggar and pit-fired ceramics, cast metal, and other cutting edge technologies. Yakima Maker Space Gallery can be found inside Yakima Maker Space at 16 South First Street in Yakima, Washington. 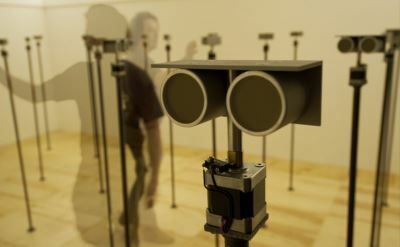 The gallery is open to the public on Saturdays between 10AM and 2:00PM or by appointment and is always free. To make an appointment, please call Yakima Maker Space at (509) 961-3050 or email: info@yakimamakerspace.org. The gallery will also be open to the public for a special viewing of “Sculpting the Valley” to celebrate International Sculpture Day on Monday, April 24, 11:00AM-5:00PM. Special events scheduled for International Sculpture Day on April 24, include a free walking tour of Yakima’s public sculptures and Windows Alive displays lead by Carolyn Nelson. The tour will start at 4:00PM with, Convolution, in front of the historic Yakima Train Depot on North Front Street. The tour will end at the Seasons Performance Hall at 5:00PM for a reception featuring the live-streaming of International Sculpture Day events from around the world and talks by artists participating in “Sculpting the Valley,” and culminate at 7:00PM with a presentation of a light sculpture created especially for the event by Andy Behrle. Sponsors for Yakima’s International Sculpture Day events include Seasons Performance Hall and The Larson Gallery Guild. All events are free and open to the public. "Dale Peterson’s artwork is the perfect intersection of making and fine art which Yakima Maker Space seeks to represent in our gallery. Dale recontextualizes ready made items otherwise lost to history, giving his new creations a narrative and purpose for our time." Jennifer J Saracino was born in Salt Lake City, UT, She received her M.F.A. from Washington State University, a BFA from the Academy of Art University, and an AA from Palomar College. Her work has been included in numerous group and solo exhibitions across North America and featured in several periodicals. She held the position of instructor at Washington State University; Associate Lecturer at University of Idaho; and is currently Interim Faculty at Yakima Valley Community College. Jennifer’s current photographic research focuses on rules of composition as the dominant means of expression. She finds simplifying the image down to its compositional components can be used to emphasize the content in the image, while focusing on the arrangement of the frame. Please join us Feb. 11th for an evening of Art & Culture. You are welcome to preview the show during gallery hours. The show is a return to a familiar theme for me. The linear view of quickly fleeting, finite days to capture all that life has to offer is motivating for some. For others, like myself, “carpe diem” feels more like an order: don’t waste a single moment of your life not wildly grabbing at what you think you need to be happy. In the moments when my mind drags me into the great lie, telling me that my own peace is not enough, that I have to seek some greater fortune, adventure, or some greater euphoric happiness before I run out of time, I find myself seeking solace, tranquility, and security in the infinite. YMS Gallery in the spirit of the art “Happening” will host a “Making” in September open to the public. Through this “Making” the lines between artifact, artist and audience become interwoven over the course of the month as bearded men in kilts build kayaks. Aye, this high visibility “Making” clearly identifies the relationship of performance and audience; valuing the observer knowledge that something is being done for their benefit, but is not dependent that they witness the work itself, as the activity continues whether or not the spectator is watching. Stop motion photography and video will provide for the posterity of the “Making”, and chronicle the completion of the kayaks. Duncan & Heath, our kilt-clad makers, will keep to an ambitious schedule in order to complete this project in just one month's time. So come down during any of the public viewings and watch bearded men in kilts building kayaks! We look forward to seeing you there! The finished work will displayed at the Fresh Hop Ale Festival in October, and available for purchase, with the proceeds going to support Yakima Maker Space. Please join us at YMS Gallery in welcoming visiting artist Kayla White. Kayla will be presenting her large format paintings that use ideas of home, histories and community to find connections between seemingly disparate ideologies. 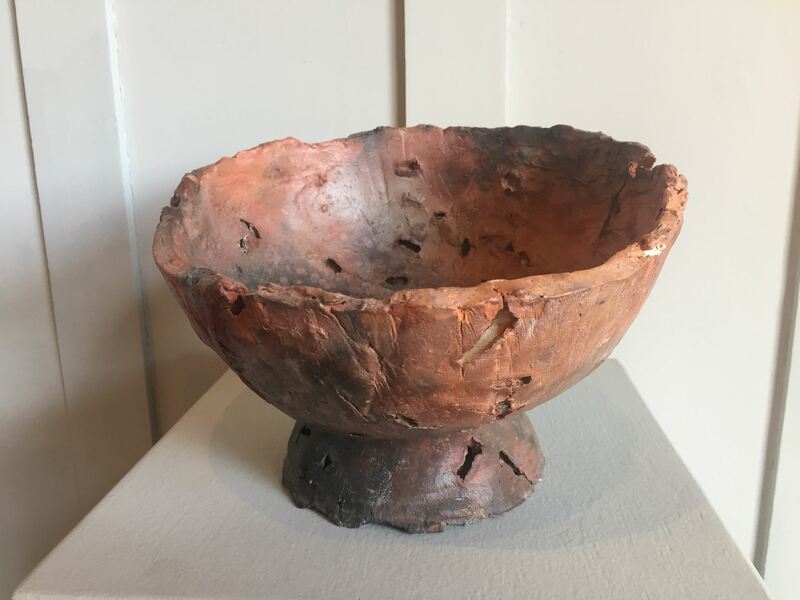 Kayla is a M.F.A graduate of Washington State University and has been included in various shows in the Northwest and participated in a nine month artist residency at Twispworks, in Twisp, WA. Andy Behrle's hydrodome recontextualizes the framework of R. Buckminster Fuller’s geodesic dome as a three-dimensional full immersive projection screen. Wooden struts connected by hubs create three-fifths of a sphere, while sheer fabric panels fill the gaps between each strut to form a transparent skin. A network of computers and video projectors illuminate the dome with ethereal visual delights as images collected from around the world illuminate the work. Visitors can interact with the artwork by stepping inside and be immersed in a pandemonium of visuals, or choice to watch the action from outside. 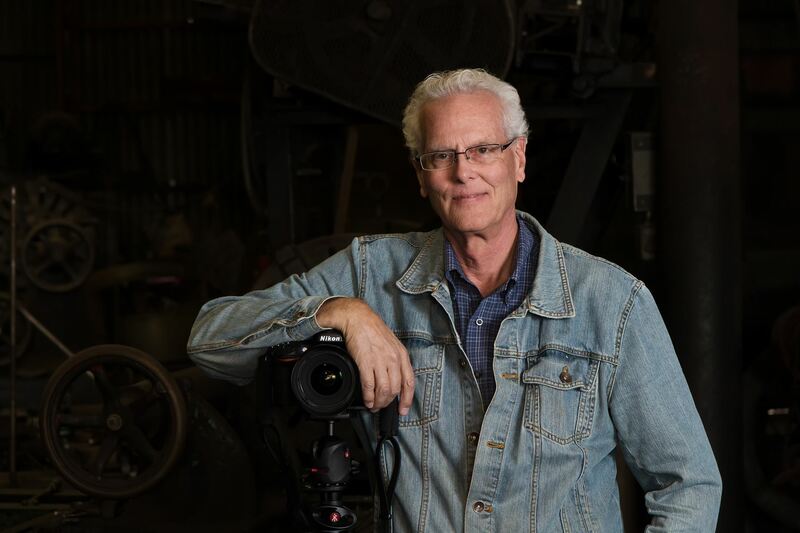 During the artwork's time at YMS Gallery, the artist will be testing new technologies while composing a video program featuring images captured for around the Pacific Northwest. This program will then be added to the artwork's database of digital video footage to be used in various future iterations of the project. While at YMS Gallery Behrle will also beta-test the use of live-streaming video feeds as projections onto the artistic artifact. Imagine live images from a coral reef activating the dome's surface, or even video of Earth's surface as seen from the International Space Station. YMS Gallery is proud to support local artist, Andy Behrle, as our first Artist-in-Residence. 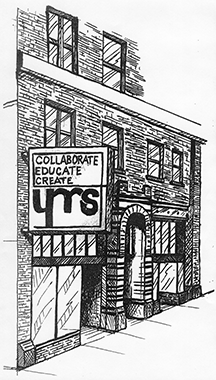 With this unique opportunity, the artist is granted access to the tools and YMS space and community, while sharing his knowledge with our community as he works through his ideas. YMS Gallery artist in Residency gives members and visitors alike access to the artistic process as Andy works through multiple creative possibilities in this Working Laboratory at YMS. After the installation's time at YMS Gallery, the artist and his hydrodome will travel to the University of Idaho - Moscow's Prichard Gallery where he will collaborate with students, faculty, and staff to add imagery from research projects being done on campus to help complete the on going process of hydrodome. Being aware of both the medium and the content distinguishes artists from both engineers and consumers; being able to unilaterally change the goals as a work progresses distinguishes artists from tradesmen; being able to imagine new or impossible goals distinguishes artists from machines; pursuing those content­ plus ­medium, illusive, new or impossible goals distinguishes this artist from wiser people. My experience of the mundane is peppered with moments of beauty, surprise, fascination and elegant simplicity. I try in my art to reach out for one of these moments and by working to recreate it I begin to understand it, to wash away the unnecessary and leave the essence of the experience, to uncover, refine and present it. My personal, most basic measure of the success of a work of art is: Is the result what the artist intended? Each of my works may start out like a sober effort to explain an opium dream but by constantly adapting the medium and content, and by making countless leaps of faith toward impossible goals, I have found that I can usually intend the result. Born in London in 1967 to two artists, Claude Andrew dropped out of a university degree in artificial intelligence to become an assistant accountant in the London reinsurance market. Visiting his brother, Felix, at his job coding for a software company in Redmond, WA, Claude realized that mistakes had been made. He went back to school in London, earning a degree in computer science from UCL and took a job with the same software company. Claude's spare time, such as it was, was spent painting and taking various art classes which pathologically developed into leaving software behind and taking a BFA at Cornish College of the Arts. On the way in to school, sculpture had appeared to Claude to be an add­ on to the visual arts, like music stands are to an orchestra; on the way out, Claude once again realized that mistakes had been made. Claude builds representational sculptures, albeit not the literal representation that photography has taught us to expect: what is replicated is a moment, a sensation, a motion rather than an appearance. Working out of a studio in Seattle, he uses whatever media and technologies are necessary to achieve each piece, an undertaking made possible not only by the degrees in both fine art and computer science but also a childhood exposure to an encyclopedic array of arts and crafts (literally: his mother published an encyclopedia of arts and crafts). Qin Tan is a multi-media artist based in Tacoma, Washington. She received her Bachelors of Art from the Maryland Institute College of Art (MICA). Her work has shown in group exhibitions in the galleries of MICA as well as Studio Art Centers International (SACI) in Florence, Italy. 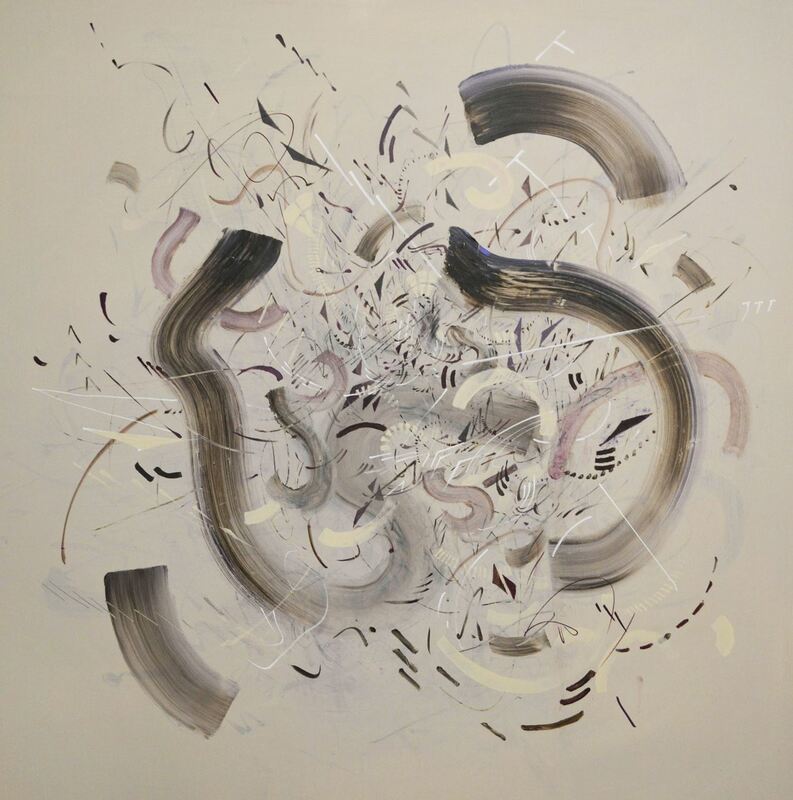 Most recently she was selected as one of the residency artists at Pantocrator Gallery in Shanghai, China. There she exhibited in a dual show entitled ‘It Started with a Dot of Line’. John has long considered himself a street photographer. However, somewhere along the way, he occasionally let himself go from lenses, shutters, focal lengths and apertures. "The relaxing quiet of a pinhole camera's simplicity paired with the solitude of a landscape changed what I thought was a photograph. Street Photography has always been defined by a decisive moment; a singular moment of objects and people culminated through a lens. Breaking down the equipment and the photograph to its most simplistic created an expansive moment compared to the decisive. Pamela creates cloths that are as luxurious to the hand as they are to the eye. Her hand painted silk weaves are reflections of the Arctic landscape that is her home. Each woven work an impression of nature’s beauty: majestic mountains turned to pastels by the low winter light, brilliant hillsides of fireweed, lavender blue wildflowers along the banks of glacier green rivers, a violent found by clear mountain streams.